Are you in the business of a full-time artist? Is pop-culture in your wheelhouse? 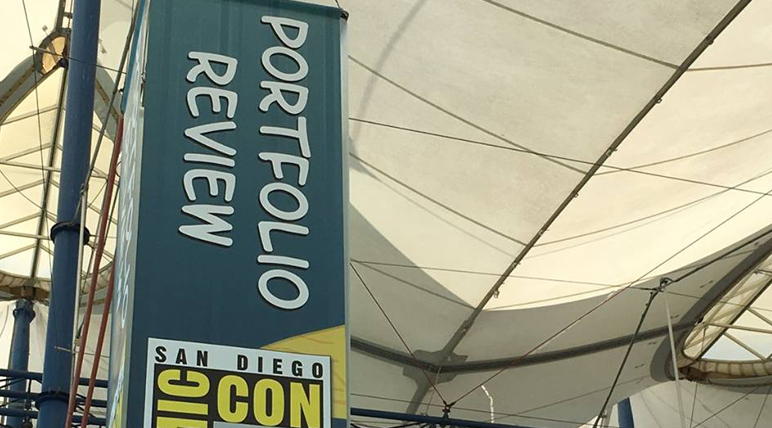 Would Comic-Con International be THE trade show to go to you for you, but couldn’t make it out? I know that was a lot of questions. But let me explain, being a full-time artist myself, one thing I’ve stated doing last year with putting together all my notes from business panels that I was able to attend, and share it with all of you. If anything, supporting one another in terms of sharing a knowledge others may not have access to is a powerful thing. I mean, I truly believe we’re stronger together. Everyone wants to know how to break into comics, but once you do, how do you stay there? Matt Gagnon (editor-in-chief, BOOM! Studios) and Bryce Carlson (managing editor, BOOM! 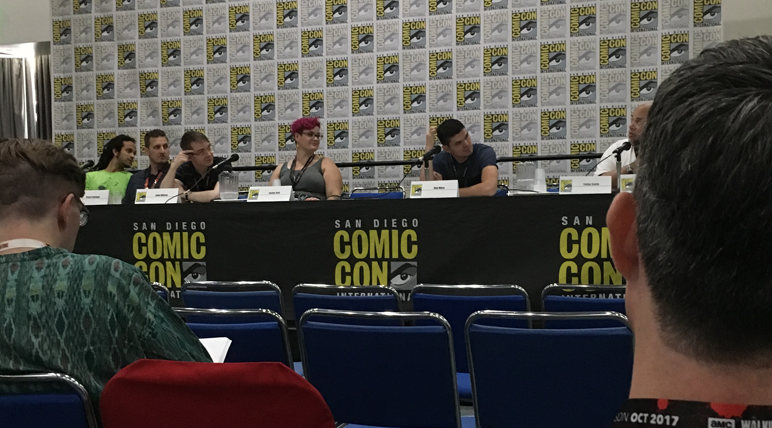 Studios) lead a discussion with some of the biggest personalities from every corner of the comic book industry to discuss their path into comics, describe how they overcame roadblocks, and offer tips and advice on how to get your foot in the door and, later, enjoy an enduring career. Are you a writer or artist? Ever dream of working for Marvel? Do you find yourself thinking, “I can do that… if I knew how” Well, here’s your chance! Join talent scout Rickey Purdin and mighty Marvel guests to find out the answers on how to get your foot in the door and make you job Marvel! Freelance artist Lee Kohse (Lucasfilm, Disney, Dreamworks), Sean Glumace (Adobe Education Leader), and Douglas Dreier (art collector, and curator) discuss the business of art and answer your questions about how to generate revenue, promote yourself, seal with clients and commissions, and price your art. Moderated by Johnny Kolasinski (former steering committee co-chair of genARTS Silicon Valley). Indie creators are staking out new territories in comics, web series, animation, and more. The Antidote Trust (TAT), a collective of indie creators, presents a roundtable discussion on the role of independent creators and what it takes to carve out success in this brave new media landscape. Moderator Charlotte (Fullerton) McDuffie (writer, My Little Pony: Friendship is Magic; founder, the Dwayne McDuffie Award for Diversity in Comics) leads the discussion with Geoffery Throne (creator, Prodigal; writer, Ben 10; writer/producer, Leverage; author, Sword of Damocles), Geoff Gerber (president, Lion Forge Comics), Hannibal Tabu (2012 Top Cow Talent Hunt winner; writer, Aspen Universe: Sourcebooks), M. D. Marie (creator, Saint of Winter Valley; writer, Vindication), Nate Wunderman (owner/publisher, Wunderman Comics), and in the center square, TAT co-founder Robert Roach (creator, Menthu; storyboard artist, Insomnia; concept illustrator, Lion—Origin of the Wailers). You love comic books, right? Do you love them enough to start your own publishing company? Hear what it takes to make it in comics from publishers ho have paved their own paths. Reporter and comics scholar Rob Salkowitz (Forbes) talks to trail-blazing comics professionals including comXology CEO and co-founder David Steinberger, CEO of IDW media holdings Ted Adams, Valiant Entertainment CEO and chief creative officer Dinesh Shamdasani, and founder and CEO of Emet Comics Maytal Gilboa about their wins, their setbacks, and everything you need to know on how to break in and stay in the comics biz. Want to know how to run a successful Kickstarter campaign? Amy Chu (Alpha Girl Comics) will moderate this all-star panel of Kickstarter experts, including Hope Nicholson (Bedside Press), Jimmy Palmiotti (PaperFilms), and Zan Christiansen (Northwest Press). They will share all their best tips and secrets for planning, running, and shipping a successful Kickstarter campaign. Find out what it takes to present a proper pitch to a client or company. You will learn about presentation, body language, elevator pitches, standing out, interview skills, and how to make an opportunity when there isn’t one. Presented by Bryan Tillman, the owner and CEO of the Kaiser Studio Productions, a production studio for comics, toys, animation, and games. If any of that sounds like you, and would dig the PDF notes, just reach out with the form below, and it should redirect you to the notes. I hope it’s helpful. Good luck on your journey! If you run into any problems with the download, just hit me up on the Contact page, and I’ll definitely work on getting you the notes.